The March 12 meeting began by honoring our four newly tenured professors. 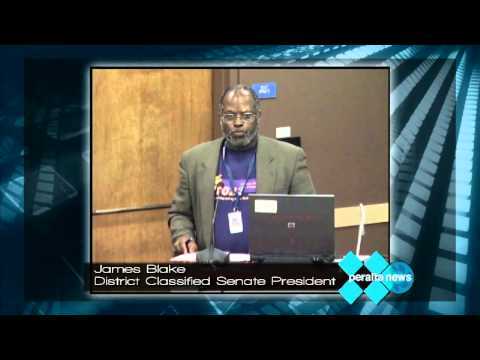 James Blake, President of the Classified Senate, called for developing standards on the ratio of Classified staff to students. And the Board received a report and discussion of the updated Laney College Facilities Master Plan.